… establishing your expertise and credibility in your community, and beyond with Public Relations. You see, as an expert you are well respected, you’re seen as the ‘go to person’ when a problem arises, and you are sought out for your specialized knowledge, and paid more too! Plus, when you establish the unique solution that you offer, you separate yourself from all the other healers and helpers, and there truly is no competition. Public Relations can be seen as the gift of maintaining relationships between your business and your potential clients. PR allows your message to be delivered by an objective third party, therefore it’s given more credibility and authority than a paid marketing message. Healers and helpers will spend countless hours honing their gifts, and working directly with their clients, but they often put this essential marketing ingredient on the back burner. 1. Before you launch a PR campaign you need to be clear on your area of expertise. 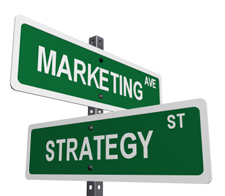 You can’t begin to launch a marketing campaign if you don’t know where to direct your efforts. Once you get clear on you area of expertise (and the unique solution that you offer), then you can start to spice up your marketing efforts and know exactly where to spend your time and money to reach your clients. 2. You’ve got your website and blog to further establish your expertise and credibility, now where else can you share your knowledge? Use PR to help you connect with the media and share solutions to problems that their listeners/readers may be having. You can connect with newspapers, radio shows, forums, magazines (offline and online), other bloggers, video interviews, ezines, podcasts, etc to share your message. Remember, target your PR efforts to a specific population, and the problem that you solve, and then you’ll be crystal clear where to find your ideal audience. 3. Great, you’ve identified a perfect resource, now what? Use your skills as a healer and helper to think in terms of service. How can you provide a potential reporter, blogger, or radio host with the easiest way to share a really valuable story with their readers/listeners? Send out a press release with a very catchy title or send a brief email that offers something of service to the person/organization you are contacting. Think in terms of how to help them out, versus wanting them to help you. The easier you make their job, the more likely they will use your content. 4. Keep a press kit ready to go. When someone asks me to speak at an event or for an interview I have a system in place to easily retrieve all the necessary information, quickly. Since most reporters are working on a tight timeframe, having these marketing materials on hand is essential. You can have a link to these on your website. Make sure you include in your press kit: A short (200 words) biography, including the clients you work with and how you help them (and a free offer to direct them to your website). Also include a headshot, an up-close professional photo, articles about you and other media coverage, and links to online videos and podcasts. 5. Ask- Yes, it’s that simple! Ask your friends, family, and media personnel if you can share your gifts. It’s amazing what happens when you start to ask. 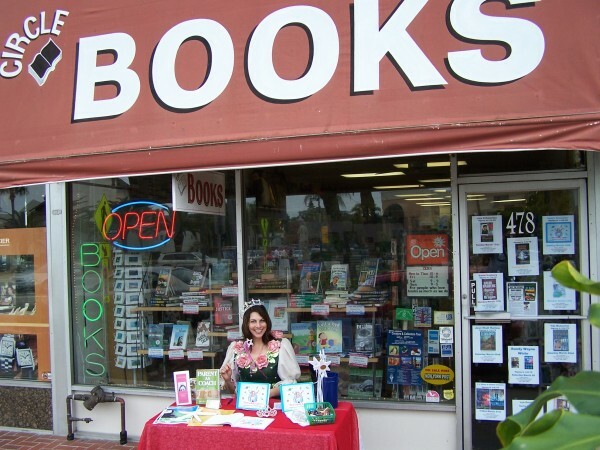 I asked my local books store to carry my book, and we ended up having a signing event in front of the store. From there it was easy to promote the event to the local newspaper with a press release. 6. Be creative, playful, and fun in the process. Shine your unique message and brand in your PR! I wanted to promote my business and get the “word out” that children can use their creativity to solve their melt-downs, shut downs and tantrums. 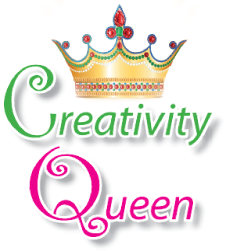 Being the Creativity Queen I wanted it to reflect my Brand of playful possibilities, so I donned my “Royal Attire” and showed up at the reading festival, book signing events, and arts day promoting my book. I stood out, sold lots of books, and more importantly became ‘recognized’ for the creative work I do. You may not necessarily need to wear tights, but thinking outside of the box, and in alignment with your message (and brand) will help you create lots of f*ree PR for your business, and these days that’s a special ingredient we all should be adding to our businesses! Do you need some help identifying your area of expertise and specialization so you can begin your PR campaign? Click here to learn about the Superfabulicious Holiday Extravaganza, and save 50% off of the Niche and Fill My Practice audio training program. Don’t worry, you don’t have to don tights to enjoy these savings! Are you in business and want to learn about using a Virtual Assistant, or you have a VA, then you’re going to want to join this ground breaking event. Join GAVAA this May, for an innovative, ground breaking Virtual Business Conference! Experience a five-day conference with over TEN experts… and learn how to make the most of the VA-Client relationship, regardless of your role. Register Now If You’re a Virtual Assistant or Independent Professional who utilizes a Virtual Assistant, and you want to learn how to maximize your profits and create a dynamic relationship that grows as the business grows! Need some marketing tips for your practice? Just so you know the book has sold out at conferences and is on the Amazon bestseller list for a few mental health categories at #22! Congratulations David on writing this book that will be of value to us therapists! What's your area of specialization? You have taken the time and energy to complete all your coursework, get your license, and now you’ve started your practice. All those years of education didn’t prepare you to when you stepped outside of the comforts of an agency position. However, you are resilient and figured out all the business basics, and even got yourself an accountant, now where are the clients? Yes, in growing your business there is always continuing education- just without CEU’s! The next step in creating a successful thriving practice is to establish your niche, or you area of expertise. When you create your niche you let the clients whom you are looking for your unique gifts know you are ready to serve them and exactly how you can help. So if you do not have a niche it’s time to start exploring why and then to take action to make some changes.